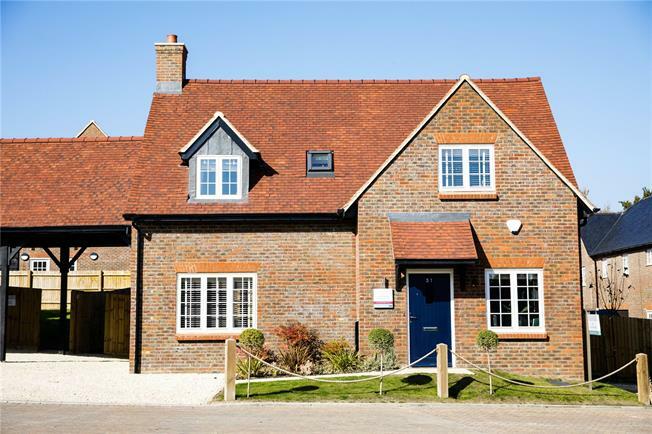 4 Bedroom Detached House For Sale in High Wycombe, Buckinghams for Asking Price £659,995. An impressive 4 bedroom/2 bathroom linked detached home with 2 allocated car parking spaces and a single car port. The ground floor comprises of an open plan kitchen/dining and living space and benefits from integrated AEG appliances and stone work top, utility room, a formal lounge, study, and grand entrance hall. On the first floor there are four bedrooms, with an en-suite to the master bedroom & fitted wardrobes, plus a family bathroom.